It’s ready, set, go for Sustainable Transportation Week, which runs September 16-22, 2012. The idea is to encourage people to park their cars and walk, cycle, ride public transit or carpool to get where they need to go. It’s only one week a year, but if you’re looking for a way to kickstart a more sustainable commute, walk or bike more often, or just take part in some fun activities, it might be just the thing. 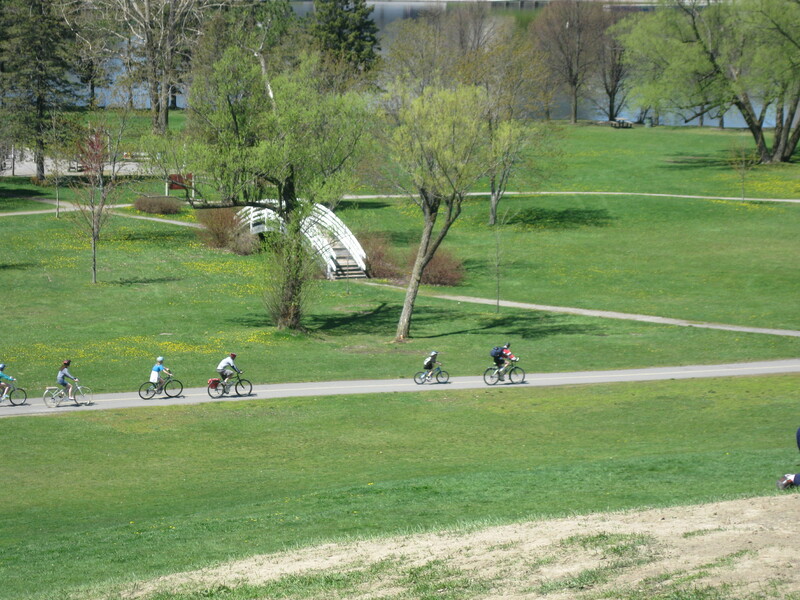 Organized by the EnviroCentre in Ottawa and Vivre en Ville in Gatineau, the week includes a Car-Free Challenge, a free breakfast conference on creating walkable communities, a bike parade, an urban rally, and a Bike-Bus-Car Race. (Last year the bike won.) You can find the schedule of Sustainable Transportation Week events for Ottawa here and Gatineau here.